No matter how many times people exclaim that the latest iPhone has an “amazing” camera, it’s still rubbish. The same goes for the cameras on just about all leading smartphones. One of the most enduring complaints about mobile phone cameras is that they are useless in low light and don’t have a worthwhile built-in flash to make up for it. Most consumer-friendly system cameras and just about all point-and-shoots have built-in Xenon flashes that are just the job for social events or for a bit of fill outdoors. At the time of writing, the best smartphones out there (ignoring luxury Vertu nonsense) are the Samsung Galaxy S3/4, Apple iPhone, HTC One and Nokia Lumia 920. Every one of these (with notable exception of the Nokia 808 PureView) has an LED “flash” rather than a Xenon one. And in practice, it’s not bright enough (except for use as a handheld torch) and makes your photos look awful: a greenish, shadowless mess. For now, on-camera LEDs are not much of a substitute for Xenon flashes, which are getting smaller while camera chips are getting better, but all these technologies have yet to meet in the middle on mainstream mobile phones. So what can we do in the meantime? 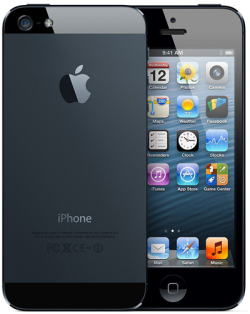 Last year I reviewed iSyncFlash, an optical slave app for the iPhone. The program allows you to synchronise an off-camera flashgun by having the phone take a picture when it “sees” the flash going off. With mixed results. Since that article, a number of improvements have been made to the software tackling some of my criticisms, such as the small viewfinder display. But the concept as a whole is still pretty unreliable and inherently a bit of a hack, so it’s not a day-to-day solution. Let’s try another approach. Apple might not have really catered to flash synchronisation in their devices but any camera under the sun, literally, will capture continuous light if you have enough of it. Cameraphones, as afore mentioned, aren’t amazing but they can handle the darkest of scenes if you give them a helping hand. The rest of this article focusses on ways to do that. Adorama, the NYC-based photographic supplier, has tried to cater to the demands of so-called iPhone-ography by curating a “Toolshed” of accessories, some of them more gimmicky than others. 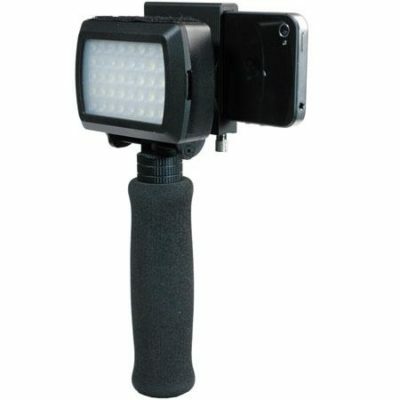 Keen cameraphoneogs can look into the DLC iPhone LED Grip Kit, a handle mount combined with a small LED panel to illuminate and steady your footage all in one go. At $79.95, it’s not the cheapest add-on, plus the handle’s form factor might not be very appealing if you’re only shooting still images. Still, the kit’s LED will doubtless demolish the output of a phone’s built-in light source and — on the iPhone specifically — let you re-enable the HDR function, which is unavailable when the “flash” is switched on. 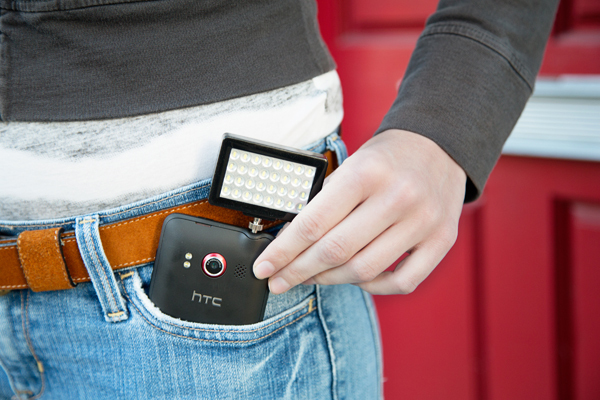 Photojojo’s Pocket Spotlight is another lighting accessory for cameraphones, though it’ll mount on a DSLR camera as well. The miniature LED array (pictured below) charges via USB and sits, interestingly, in the phone’s headphone jack (NB: on the iPhone 5 this port has inexplicably been moved to the bottom of the device). It can be yours for just $30, plus $10 for an optional set of colour filters. 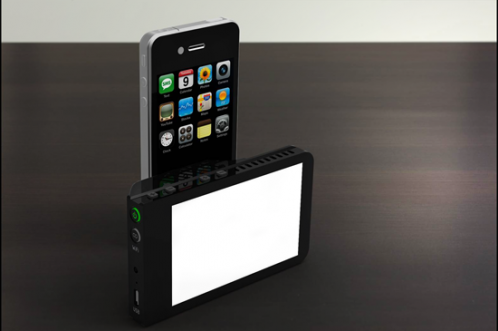 British manufacturer MagneFlash uses a more universal mounting method for its smartphone lighting solution. Rather than fitting it onto your mobile device itself, the PHIL 250 Phonecamera Illumination Lamp straps to your hand, allowing the choice of off-camera lighting as far as your arm can reach. It also charges via USB, but a Red Ferret review criticised the non-removable cable. The product costs £24 including VAT from Magneflash.com. Possibly the most sophisticated LED for the iPhone is the Rift Labs Kick RGB light (below), which has user-selectable colour, controlled wirelessly with a dedicated iOS app. You don’t necessarily need to use it with the iPhone’s camera but you’re bound to have one with you since it (or an iPad) is the control unit. It will even track colours from a video stream, live, enabling creative effects such as lightning storms or a campfire. The concept was made a reality by crowd-funding site Kickstarter. The first units are going to campaign backers but check the Rift Labs web site to see when the Kick will be ready for retail. From the opposite end of the spectrum — rather than using an additional accessory to improve your smartphone’s low-light pictures, do it the other way round: use your phone as an accessory to light for a proper camera. Your cameraphone’s built-in LED flash needn’t be wasted — no doubt one of the first apps you downloaded was one to turn it into a torch to help find your keys in the dark. Switching this on, it becomes a free off-camera light source for your point-and-shoot, mirrorless or DSLR camera. 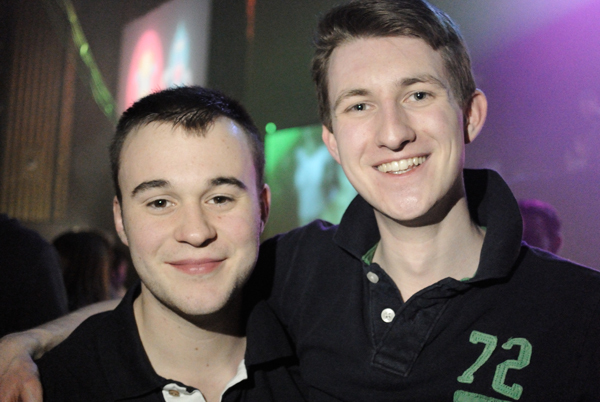 My own experience has found that the iPhone 4’s torch is good enough for snapshots of 2–4 friends at social events taken with the Nikon 1 V1 and 18.5mm f/1.8 (handy since I don’t have a flash for the V1) but it will struggle if I need to step back, for instance to shoot a larger group of five or more people. Your phone and camera’s performance may differ. Using one iPhone 4/5 as a camera and another (a friend’s) as a main light I have managed get acceptable (albeit grainy) pictures of 1–2 people. Anything more is a bit of a push. Hopefully this article contains some useful tips for using cameraphones in/as lighting for low-light situations. If you have your own, feel free to share them in the comments below.